Who doesn’t know about tulips? The bell-shaped flower is one of the most easily recognized flowers and probably the most loved too. There is something about these beauties that don’t scream too elegance or too romantic. They aren’t too big and too small either. Their colors are just perfect among the springs’ stunners too. It is safe to say that these blooms are one of the bests really. Besides its identifiably gorgeous look, tulips meaning are equally worthy. Check out this article and learn more about your favorite bulbs. Discover tulips meaning, symbol, significance, etc. and get ready to fall harder with the summer beauties. Tulips are believed to be originated from Persia and Turkey. It was during the 16th century that the first tulips were introduced to Europe. It didn’t take long until tulips became highly recognized and loved by the Europeans. So, what was the deal between Netherlands and tulips that make the two are synonymous to one another? 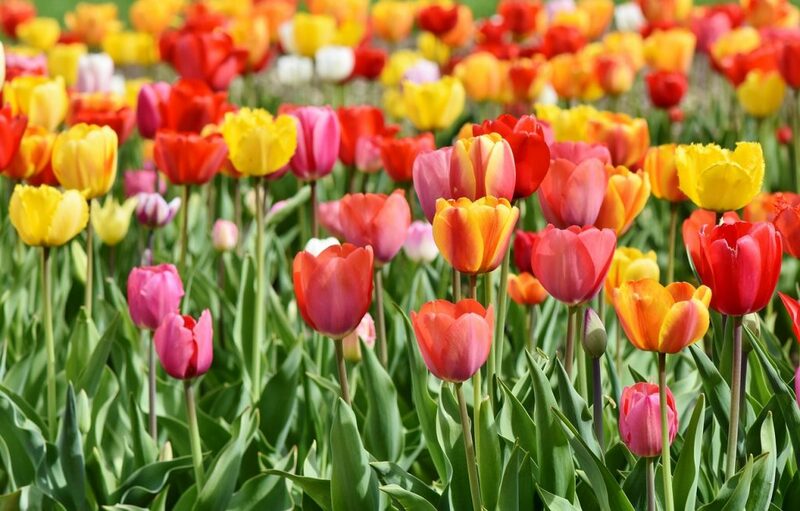 Surprisingly, tulips aren’t originated from the Netherland. One thing worth noting is that Europeans appreciated the tulips’ beauty and were willing to spend such a lashing amount of money. Also, there were trends where tulips were hugely cultivated in many Europeans countries. These tulip mania trends were especially found in the Netherlands, leaving the country to plant huge numbers of tulips bulbs even to these days. How about the flower’s name? What does it actually mean? Tulips iconic shape used to be highly associated with turbans. The turbans are the Turkish traditional head wrapper. The name tulips were accidentally invented after some random Europeans mispronounced the word turbans, and said tulips instead. Tulips meanings are believed to be far greater than its outer appearance. Tulip flower is identical to the idea of perfect love. For this reason, tulips are best to describe enduring loves, to and from, partners or family members. To be perfect, love doesn’t always mean having an undying passionate kind of love. To let go someone for the sake of their happiness is the next level of giving love. That is why, perfect loves here can be defined as both having passionate kind of love and having a forgotten love when someone has to let go the ones he/she loves. In other words, tulips flowers mean having a selfless everlasting love. As one of the earliest blooms in spring, tulips also carry a meaning of rebirth. The tulips flowers later are described as abundance, prosperity and indulgence. Another meaning of tulip suggests the idea of charity. 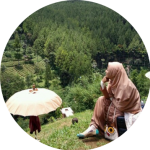 The meaning is especially centered on the idea of supporting the less fortunate people. What Do Their Colors Symbolize? As a symbol of eternal love, tulips symbolism is inspired by a Turkish love story between Farhad and Shirin. The story of the two lovers has been told in different versions. One version suggests that Farhad, who was a prince, fell in love with a girl named Shirin. Unfortunately, Shirin was killed. The news of Shirin’s death torn Farhad into pieces. Ran away with such desperation, Farhad rode his horse off a cliff. He died with his blood turned into red tulips when the drops are touching the ground. Another version tells the switched social ranking between the two; Shirin was a princess while Farhad was a stonecutter. Farhad fell in love with Shirin and tried to win her heart even though she kept on rejecting him. One day, Farhad went to the hills and played music to honor Shirin. Touched by what Farhad did, Shirin eventually fell in love with the commoner. However, her father hated the idea of his princess daughter dating such a lowly man. Thus, he commanded Farhad to build a giant canal to prove his love for Shirin. Some years have passed and Farhan almost completed the work. Shirin’s father sent a courtesan to Farhad, telling him that Shirin had passed away. Depressed by the fake news, Farhad mistakenly ended his life. Upon learning about Farhad’s death, Shirin followed his path and took her own life. The blood drops from the two lovers touched the ground and turned into red tulips, the symbols of everlasting love. While the red tulips symbolize everlasting loves, other tulip colors express different symbols. 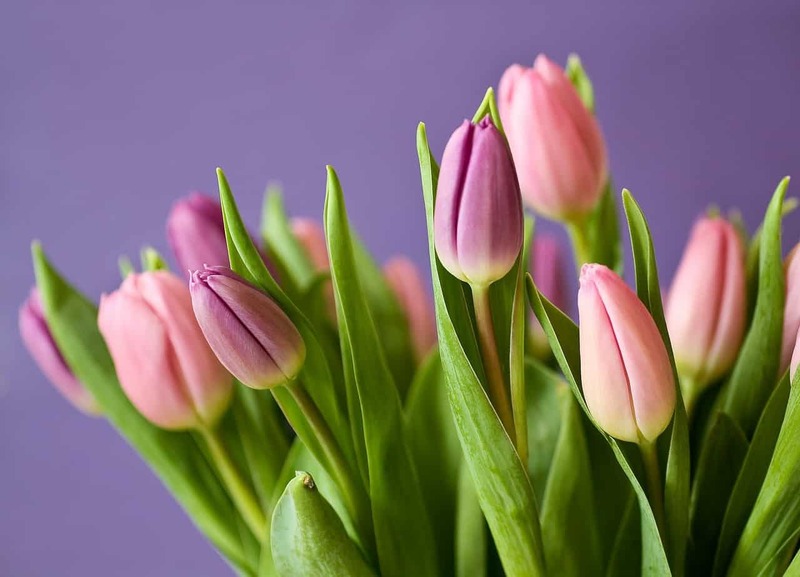 Pink tulips meaning are especially related to happiness and confidence. The tulips symbolism among yellow tulips is about having cheerful thoughts. White tulips are the symbol of forgiveness and purple tulips symbolize royalty. Turkey is the country where tulips developed historical mark. However, when it comes to cultural significances, the Netherlands can be a great example. It was during the 16th century when tulips were brought and introduced to the Netherlands. These flowers used to be a novelty and could only be purchased by wealthy folks. People in the Netherlands started to cultivate these flowers and reaping the benefits from the rich. 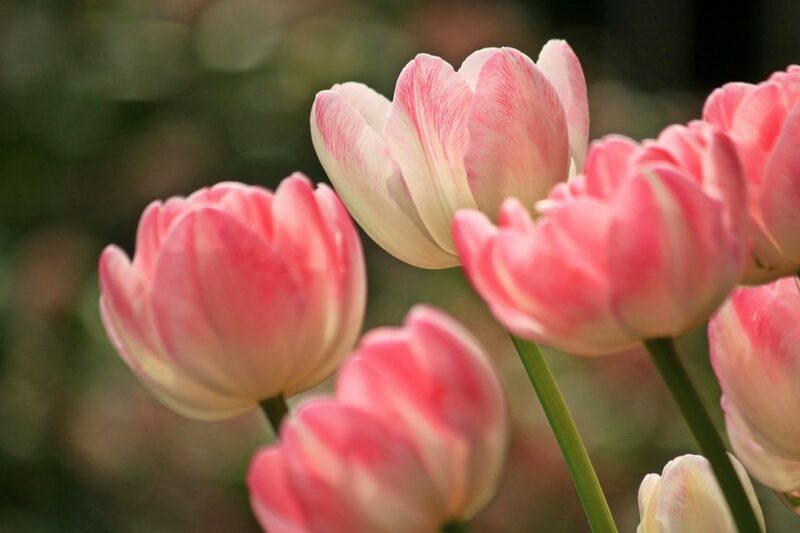 One day, cultivators discovered a way to make tulips petal have brighter colors by contracting the non-fatal virus. This discovery led the flowers’ price tag to skyrocket. Affected by the phenomenon, many landowners began to trade their lands and savings in order to purchase more bulbs. However, the trends were gradually fading. Many people ended up selling rather than purchasing the bulbs. This affected the tulips prices to significantly drop and resulting in the tulips market crash during the 17th century. After the crash, the Dutch were hesitant about taking part in long-term investment. Another tulip cultural significance is also found in the Netherlands. Experiencing such loss in the 17th century didn’t really change the Dutch’ adoration towards tulip flowers. The Dutch exclusively dedicate a day in January to celebrate National Tulip Day. Many tulip growers are busy preparing a colossal tulip garden on Dam Square. Flowers in this gigantic garden can be picked and arranged into bouquets or other arrangements for free. The value lies along with tulips meaning and symbolism has led tulips to be used on many occasions. Some of them are listed here along with some interesting facts about tulips. In marriage, tulips are attributed to the symbol of devotion and love. Especially related to wedding anniversary gifts, tulips are used to mark eleven-years of marriage. Growing a tulip plant is started by planting a bulb during the fall. Leave it under the winter soil and wait for the buds to bloom during spring and summer.